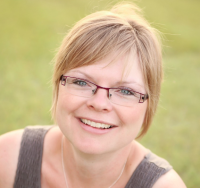 If you are in the midst of planning a sunny perennial garden then you are in the right place! This is a great reference of full sun perennials for Canadian Zone 3 gardens. I have lived in Alberta, Canada my entire life. I honestly can’t imagine living anywhere else, it’s beautiful. We have big blue skies and so much sun! There is something about knowing that the sun is shining that takes the edge off the harsh winters we can get. If you aren’t from a colder zone 3 climate, like Alberta, you might wonder if we can actually grow beautiful flowers in our gardens. We can! There are so many beautiful perennials to choose from. One of my favourites is the Peony! Get outside and start gardening! I have a huge passion for perennials. There is something about knowing that a plant I put in the ground this year is going to come back next year and amaze me just like it did the first year I planted it. Most of my gardening experience has been in yards that have needed serious work. Our first home was a blank slate. A completely empty, full sun yard with a Southern exposure. So you can bet that I put in as many of these perennials that I could afford. If you are just starting your search for the best plants for your garden it can feel overwhelming. It’s important to remember that gardening is supposed to be fun! 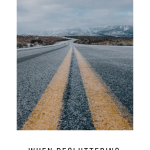 It’s a way to unwind from a hard day at work not to create more stress in your life. I love that it gets me outside and out of the house. This was especially important when our kids were little. We live on a 12 acre property and there are no fences. With a very busy gravel road that ran past our house I needed to be outside when the kids were playing to make sure that they were safe. Gardening doesn’t need to be and shouldn’t be complicated. Just because there are 100’s of plants available to grow in your climate doesn’t mean you need to own every one of them. Less is more! Really it is. There is great beauty in showcasing a few plants. Try picking 4-6 types of plants off the following list, then diversify into different varieties and colours of those 4-6 plants. Maybe pick 2 spring blooming, 2 summer blooming and 2 later blooming flowers to start. 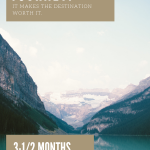 You’ll have interest through the whole season and it will be gorgeous. Daylilies are one of the most versatile perennials in the garden. They thrive in full sun to partial shade. While each flower bloom only lasts a day they look amazing in the landscape all season. They add texture and shape to the flower bed. Depending on what variety you choose they fit at the front of the border to the back. 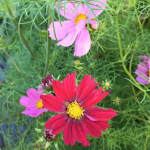 Try a few different varieties so that you can have blooms at different times of the summer as well. Veronica is one of the few perennials that are more blue in colour. Many people are looking for blue flowers and this one is great! 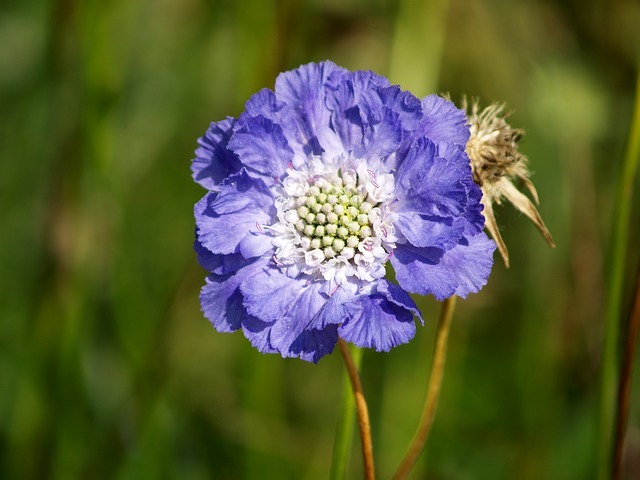 It blooms most of the summer, is blue in colour and does well as a cut flower as well. If blue isn’t your colour try growing Red Fox as it is a pink variety of Veronica that also blooms most of the summer and will do well in cut bouquets. 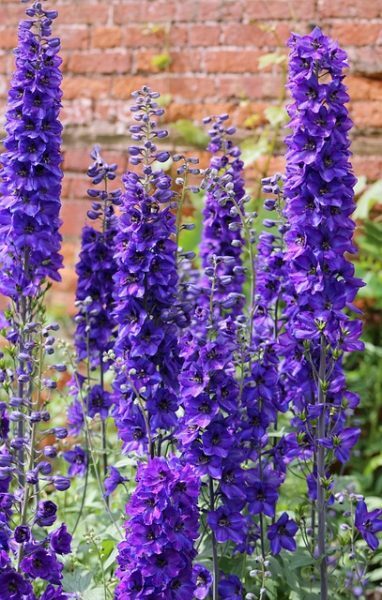 Delphiniums are one of the tall back of the border zone 3 perennials. Take advantage of their height to create a backdrop for other perennials or to create a visual wall to hide something in your yard you don’t want to see. They can easily get 4-5 ft tall over the summer, so make sure you grow them in a more sheltered area to prevent them from kinking over in the wind. This is one perennial that needs full sun so that they grow strong stems. If they are in part sun the stems get longer and weaker and will blow over in the wind. Iceland and Oriental Poppies are gorgeous. They have an almost paper-like quality to their blooms. Plant poppies is larger groupings to create a dramatic show of blooms. After they bloom the foliage tends to die back so plant these behind other plants to hide the empty spot in the garden. Champagne Bubbles (Iceland Poppy) is a great mix to try in your garden. They will give you a mix of pastel colours if you aren’t a fan of the bright orange of the more common oriental poppy. Scabiosa is a very light and airy flower. The perennial varieties are white or light blue. It also does quite well as a cut flower. Silver King Sage grows really well in hot and dry locations. It is a bit of a gangly looking plant, so I grow it in the back of my beds. I grow it speficially because it’s silvery leaves look great in bouquets of cut garden flowers. Silver Mound Sage is nice mounding silvery plant. It’s a bit airy. Don’t fertilize this one as it will flop open in the middle. Sage does best in poor soil. 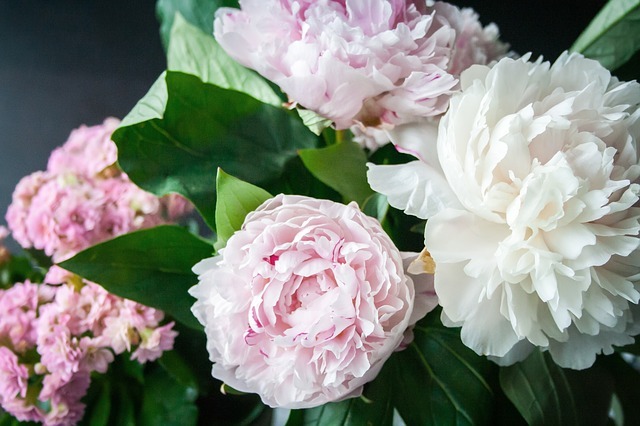 The peony is one of those perennials that everyone recognizes. It’s large scented flower head is sought after by many brides! It’s also an investment plant taking at least 3 years to bloom from planting. They are also one of the longest living perennial flowers. I’ve heard of peonies growing over 60 + years in the same spot. Peonies can pout a bit when you plant them. They really don’t like to be moved and will tell you they don’t like it by not blooming for a year or so. So when you plant them, make sure you have them in the right spot so you can leave them there for a long season. 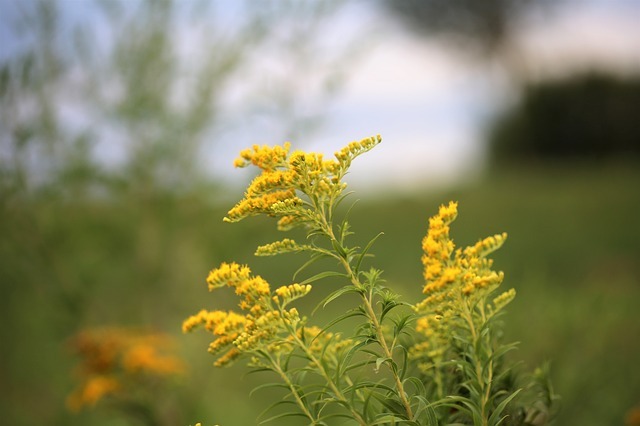 Goldenrod is well known as a wild flower or pasture flower. There are many varieties now that have been trialed and tested over the years that are wonderful in the back of the border. This is one of the flowers you should choose if you’re wanting a more natural and native styled garden. What I love about Solidago is that it adds colour and texture to the garden. It’s upright shape also lends itself to working well in bouquets. Russian Sage is a great perennial for hot and dry sunny locations. It has tall spires of lavendar blue flowers with silvery green leaves. It does have a scent so if you plant it where you might brush against it you’ll have a bit of a sensory garden. If you like the look of Lavender, try this plant as it’s much hardier. There are so many different types of lilies available for Zone 3. Asiatic, LA Hybrid, Martagon, Tiger and Oriental Lilies. When choosing a lily, pay attention to the height listed on the tag. 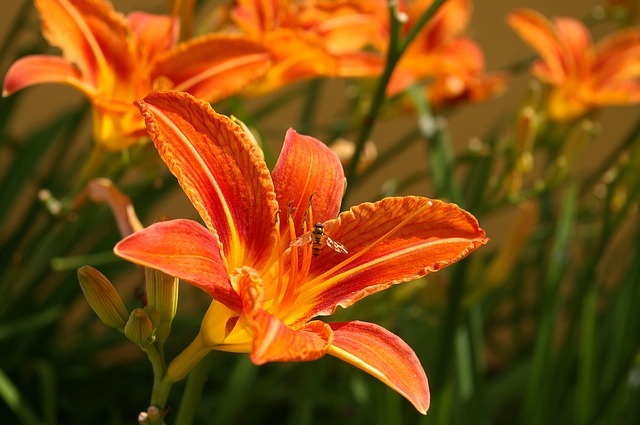 Some lilies are short and dwarf, while others like Tiger Lilies are easily 5 ft tall. I have started to amass a bit of a collection of lilies myself. I tend to like the taller ones so that I can use them as cut flowers. One thing to remember is if the smell of lilies bothers you, only cut the Asiatic and LA Hybrids. 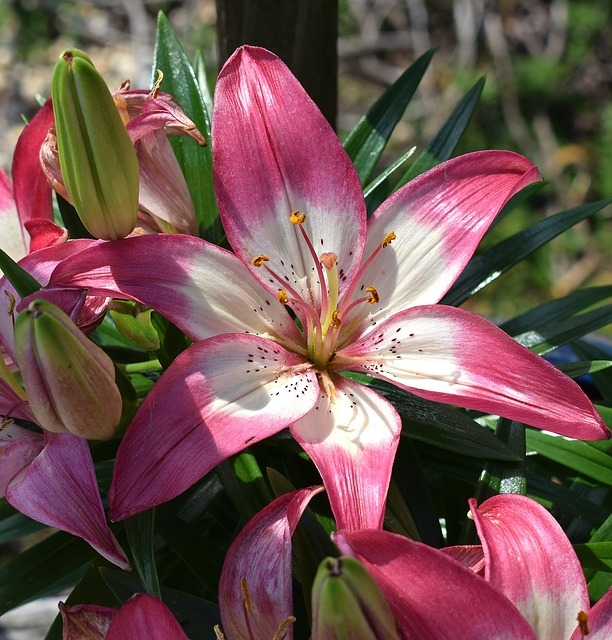 The Oriental Lilies are the ones with the very strong smell that cause problems. Snow in Summer is another great mounding zone 3 perennial for sunny gardens. It also works well in rock gardens as it has the ability to drape over rocks. 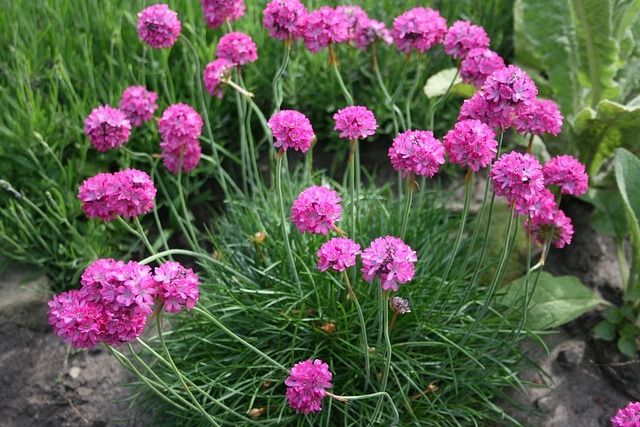 Sea Thrift is a cute little plant that will bloom all summer long. It reminds me a little of Chives, only it has pink or fuschia blooms. Sea Thrift is great at the front of the perennial border or in rock gardens. It looks like little clumps of new grass with little shoots of flowers. It is a small clump that rarely needs to be divided. Pinks are a charming little flower that has serrated edges on it’s petals and are a low mounding flower that work well at the front of the border or in rock gardens. Sweet William is a short lived perennial that is an old fashioned type plant that will remind you of gardens long gone. Just keep in mind it isn’t going to live forever. 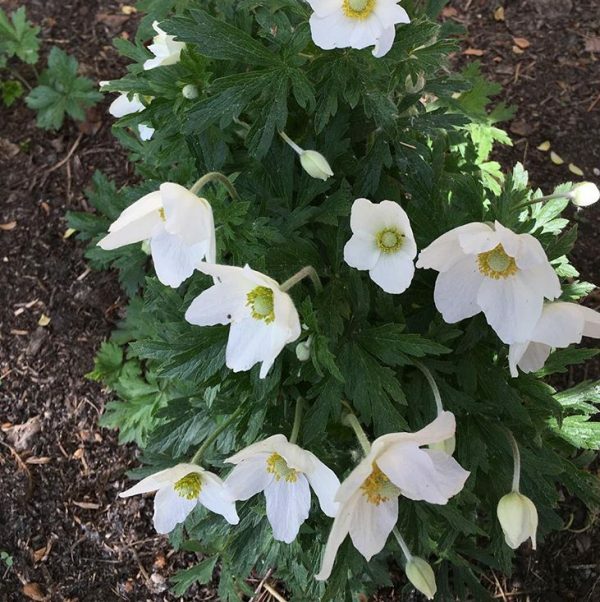 Snowdrop Anemone is a must have in the border for spring flowering perennials. It reminds me of flowers you would see in the mountains, only bigger. They mix nicely at the front of the bed with perennials that bloom later in the season. Make sure to dead head (cut off old flowers) otherwise the stems will stay on all season and the plant doesn’t look as nice in the border. Monkshood is tall back of the border hardy perennial. It is important to note that this particular flower is considered poisonous. So do not let small children pick these flowers or place them in their mouths. Don’t let that scare you off from having them in your garden. They are a great addition to all perennial borders. 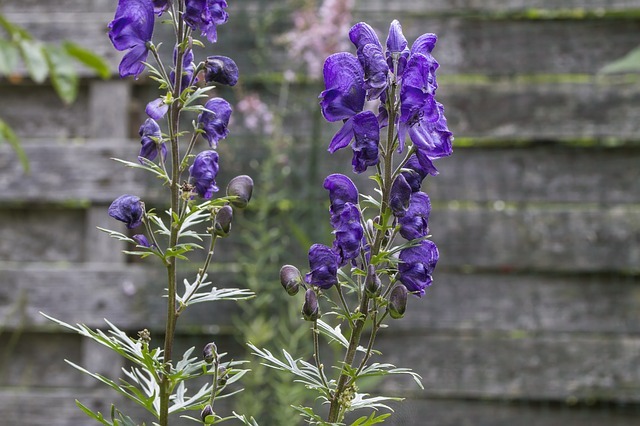 My favourite Monkshood is the dark blue variety. I find it very stately in the garden. It is also a taller hardy perennial so put it in the middle to back of your perennial flower bed. Stonecrops are great perennials that you really should consider for your garden. They are a succulent type perennial that is very hardy. There are low mounding ground cover varieties such as Dragon’s Blood as well as upright varieties like Autumn Joy. Which every you choose you’ll love them as they add texture and unique shape to the garden. 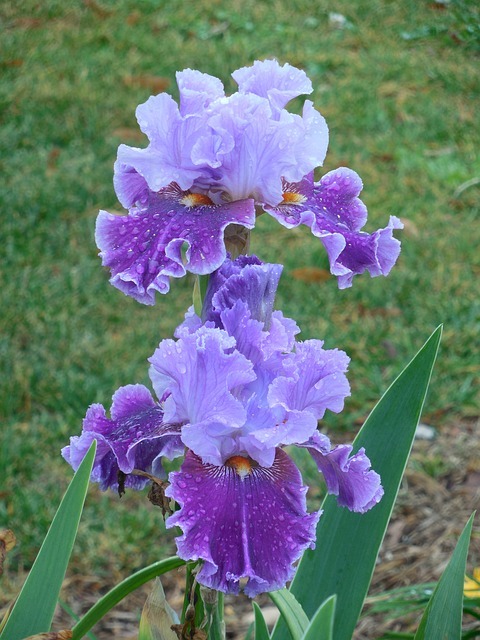 German bearded Iris and Siberian Iris are your spring flowering sun perennials. It’s a good plan to add perennials with different bloom times to make sure you have lots of interest through out the whole growing season. After a long cold winter there is something special about seeing those first blooms. This past spring I was able to get a piece of an Iris from my Grandma that originally came from her Mom. While it didn’t bloom for me this year, I know that it’s going to this coming spring. It’s very special to me as I have very few memories of my Great- Grandma. Wooly Thyme is a lovely smelling low ground cover. Its creeping habit makes it a go to for putting between stepping stones. Every time it is stepped on it releases a light scent similar to its culinary relative. It’s hardy enough to be stepped on every now and then. Creeping Thyme is great in raised beds as it can hang over and drape. It is also nice in rock gardens to create a wave of pink colour. 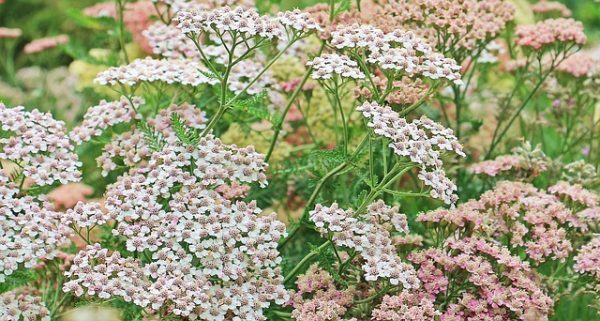 Yarrow is an amazing plant that will bloom all summer long and give huge waves of colour in the middle to the back of the garden. It comes in the most beautiful pastel colours as well as vibrant shades depending on the varieties you choose. But, beware this one is a prolific self seeder. Many a garden has been overrun with this perennial. Either dead head or pull out baby plants before they are deeply rooted and established. This is just a taste of the zone 3 perennials for sunny gardens. But these are some of the more common varieties that are easily accessible at your local garden centre or nursery. I have grown many of these perennials and I’m always on the hunt for more. So take a look at this list of many other Zone 3 Perennials for Sunny Gardens many of which are in my garden as well. Beard Tongue – Penstemon spp. Blazing Star – Liatris spp. Coral Bells – Heuchera sp.